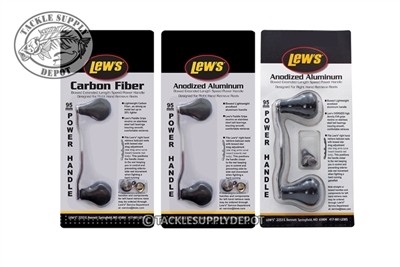 Please note: These handles are designed for Right Hand Retrieve Lew's Casting Reels. The Replacement handle is an excellent choice for replacing old or broken handles and provides both comfort as well as a lightweight feel that can be appreciated when fishing those long days on the water. Each kit includes handle washers, handle nut, handle nut retainer, and handle nut retainer screw. 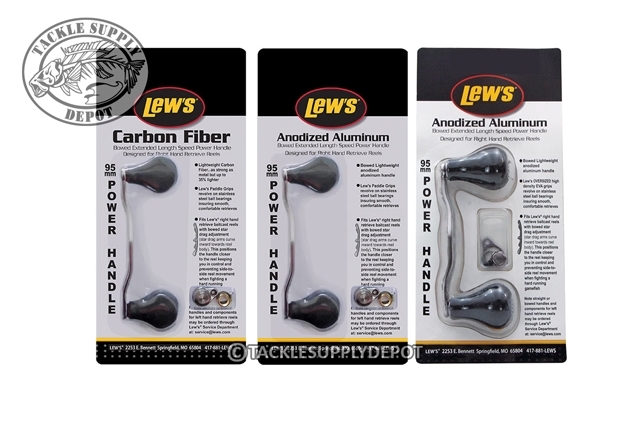 The Lew's Bowed 95mm Replacement Handles will ONLY fit Lew's right hand retrieve baitcast reels with bowed star drag adjustment (star drag arms curve inward towards reel body). This positions the handle closer to the reel keeping you in control and preventing side-to-side reel movement when fighting a hard running gamefish.